Click the picture for a larger view for some items. Shipping, handling, and delivery confirmation included in the price for some items, check each item individually prior to purchase for specifics. If you have a store-related question, please check out our FAQ Store page. If you don't see an item you are interested in purchasing, or it is 'Out of Stock,' and you would like additional information for when it will be available again, sign up for our Mailing List to be notified when items are back! * If you still have a concern, complaint, or question, please feel free to contact our Store Manager. Thank you. Recorded LIVE at Anime Matsuri in Houston, this disc features songs from many popular animes as well as many of Vic’s most popular original songs. 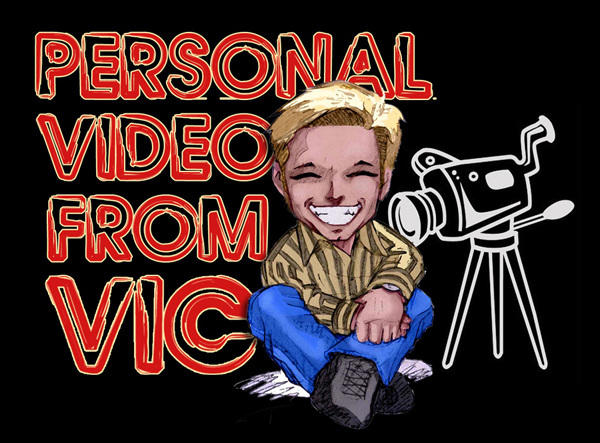 Also included is the never before released original short film, FULLMETAL FANTASY, along with some of Vic’s original videos, including Vic’s appearance on Star Search in 1993! Headshot of our Leader, in full color and signed by Vic. check out the sample video. Are you looking for the Best way to transmute the right ingredients into Apple Pie? Or how about the secrets of Flaming Alchemy vs Grilling Alchemy for om nomming yummy salmon?! Well you're in luck... 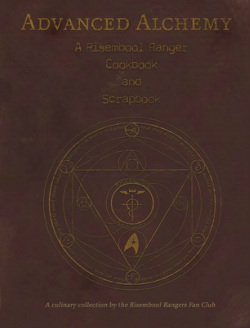 The Risembool Rangers are proud to Present the First EVER Advanced Alchemy Cookbook & Scrapbook. 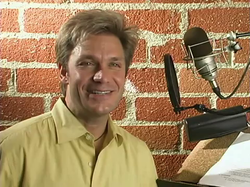 This book features several recipes, stories, pictures, and important cooking tips... relating to some of your favorite Vic Mignogna themed animes. Don't worry, we took care to code our information like the very BEST alchemist should! ​The Cookbook is available from the Amazon.com website. 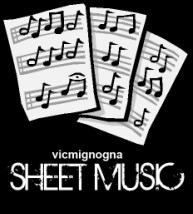 Sheet music written especially for you to play on your piano. $5.00 per song or order the entire set for $20.00 and save $5! * PDF format will be emailed to you after payment. Thank you! **Please note, by clicking to order these PDF's from Vic you agree to not re-upload or redistribute, give away or sell to others. Copyright information is available at the bottom of this page and on the main page of this website. Metafiction is an eclectic collection of compositions representing several different styles. From humorous to heartbreaking, anime to Contemporary Christian; METAFICTION represents a wide variety of musical ideas. 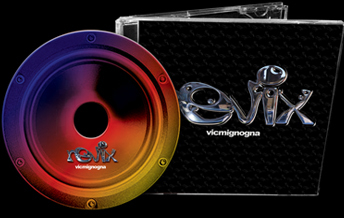 The long awaited remix CD which includes Brothers remix, DNAngel remix, Guilty Beauty Love remix and MORE! A beautiful collection of piano tracks composed, produced, and performed by Vic. This music truly displays Vic's deep love for God and the desire to thank Him for all that He does. 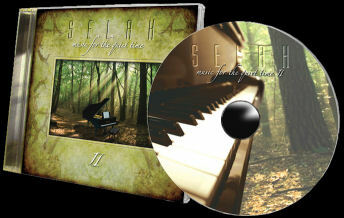 This CD reminds you why God created music. 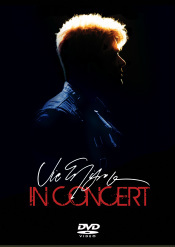 The second edition of gorgeous piano tracks composed, produced, and performed by Vic. This music truly displays Vic's deep love for God and the desire to thank Him for all that He does. This CD reminds you why God created music. A collection of songs written, arranged, and produced by Vic back in 1992. An oldie but a goodie...especially for those of you who enjoy hearing Vic sing. 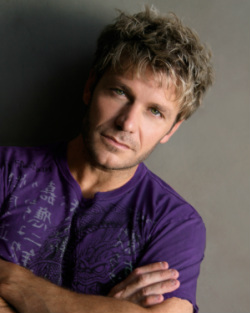 Includes songs like “Worth Waiting For” which he performed on Star Search in 1993, and “Italian Boys” featuring his very dear Grandma Mignogna. Recently redesigned!! Plus two NEW bonus tracks! ~"Nothing I Won't Give Remix"
~"Je Nai Pas De Mots"
Finally, after a long wait, Vic has a Christmas CD! It contains many seasonal favorites along with some originals that vic has written. It is available for ordering so buy one now for the holidays! Still Itching for some Tunes? Check out these tracks from Vic's Karaoke Album and his Christmas Noel CD (Duel with Johnny Yong Bosch) both only on iTunes. 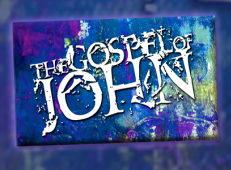 ​Vic Mignogna's Recording of the Gospel of John is also available in a CD format. Now that you are an honorary member of the Risembool Rangers, its time for you to go forth and multiple!! We are like one big happy family! We love to have new members come hang out with us at conventions and on the forums and chatroom. So to help with recruiting new members we have Ranger Cards for you to present to friends, family, even strangers on the street! With passing out the Ranger Cards, you allow others to become involved with this international group! Going to a Convention? Are you a part of an Anime Group in your Area? Our rangers love to tell other people about our amazing club! 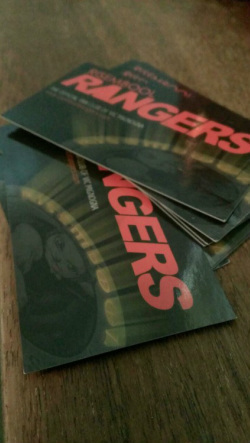 We have ranger cards printed so you can pass them out at conventions, anime clubs, and at school. If you would like to help recruit new rangers you can request a shipment of ranger cards from Jason at cards@risemboolrangers.com. The name and date of the event you are attending. If you have any other questions regarding the recruitment cards, please email Jason directly. Please note that Jason ships out the cards when he has time, so please give him at least 3 weeks notice if you are attending a con. *Please remember, when you are passing out these cards, you are representing the Risembool Rangers Fan Club and Vic Mignogna. We would like to strongly encourage you to NOT spam individuals or conduct yourself in a negative fashion when distributing these cards. The whole premise for this club is for fun, and we would not like to see anyone bullied for their decision. Thank you.